Hello! 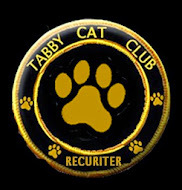 Stopping in from Cathy Keisha's blog to meet some cute kitties! Great picture for the photohunt today! My poor Harry! That brofur of yours, what you have to put up with!! Very clever! BTW, I claimed the award today. Ohhh, I think you need to put him on delicate! No spin cycle though.... eeeeeek!! !